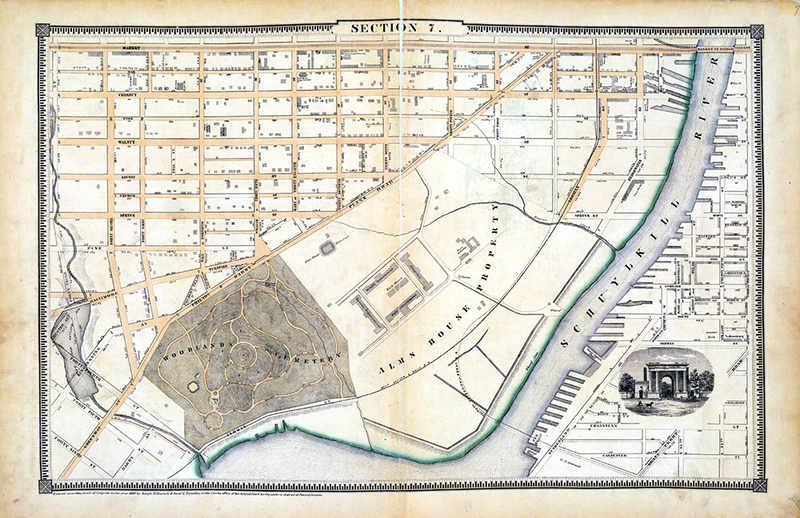 Mill Creek can be found on 19th century maps of Philadelphia, draining more than 4,000 acres of West Philadelphia with its main stem and several tributaries. While some of the place names associated with this stream still exist -- including the Overbrook and Mill Creek neighborhoods -- the stream itself was long ago obliterated within the city limits. What happened to Mill Creek? To find out, join Adam Levine and Drew Brown of the Philadelphia Water Department, on a bus tour that will explore the history of the old creek. From the headwaters of the creek, still above ground in Montgomery County, we'll travel through West Philadelphia from Overbrook to the Schuylkill River near 43rd Street. Along the way we'll reveal stories about the creek, the industry and farmland that used to be here, visit parks and playgrounds and community gardens, and talk about some of the consequences of burying a creek in a pipe and building a city above it. Bus will leave from and return to The Woodlands, 4000 Woodland Avenue, Philadelphia, PA 19104. Tour will be held rain or shine, but in case of severe weather, it may be postponed. The bus tour will take about 3 hours. Space is limited to 30 people, and pre-registration is highly recommended. About Adam Levine: Adam Levine has worked as a historical consultant to the Philadelphia Water Department since 1998. You can see some of the fruits of his research into the city's sewers and water system at phillyh2o.org.